The well-known actor Ben Affleck has been battling addiction his whole life and just recently enduring intense rehab. During a two hour heated “confession session” at his current rehab facility Ben broke down to his ex-wife Jennifer Garner about his mistakes fueled by alcohol. The actor sat in misery while he shared the truth about his affairs with former nanny known as Christine Ouzounian and his many other casual flings in hopes of starting a new and clean life with his family. The Actor is currently in his third round of rehab. Ben checked himself into rehab in 2001, then opening up Last year of March 2017 that he had completed treatment for alcoholism in order to heal his family and gave thanks to his former wife Jennifer Garner. The history of his addiction goes way back, his experience with alcoholism began as a child, watching his own father, Timothy, battle the disease. Even though he thought his childhood to be difficult, Ben said it was his brother, Casey, and good acting friend, Matt Damon, helped him through his father’s alcoholism and parent’s rough divorce. According to sources, Jennifer and their three children whose ages range from 6-12 years old have been joining Ben in his treatment which includes family counseling and intense therapy sessions with each of the family members. Ben and Garner have settled their divorce and the final settlement will be filed after Ben completes his Rehab treatments. It is said that the couple did not have a pre-up, so during their 12-year marriage all of their earnings will be filed and combined as one. The afternoon of August 22nd, Ben was picked up by his former wife Garner after an 18 day long drinking binge alone in his Los Angeles mansion. The two then drove to The Canyons a rehab center very well known in Malibu California. 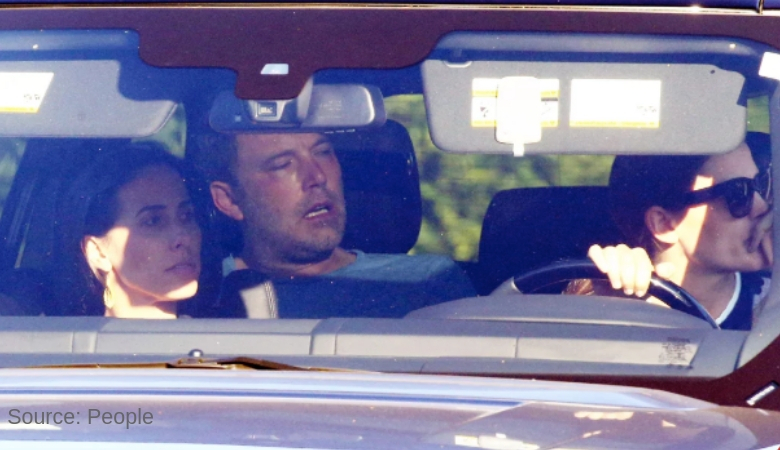 Garner was photographed arriving at the Actors house in Pacific Palisades looking obviously upset, Affleck was seen with his head down in the back of the car.